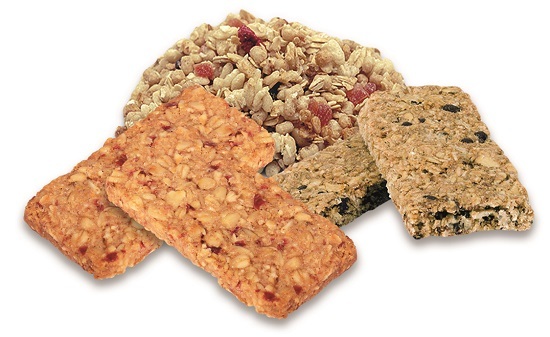 New systems to produce baked granola cereal and baked granola bars have been developed by Baker Perkins to meet rapid growth of these tasty, versatile products. Granola can be formed into a broad selection of appealing products, often enhanced with inclusions such as dried fruit, nuts, seeds, honey or chocolate chips. Granola is attracting increasing attention as a ready-to-eat cereal and snack, driven by the healthy benefits and slow energy release of oats. 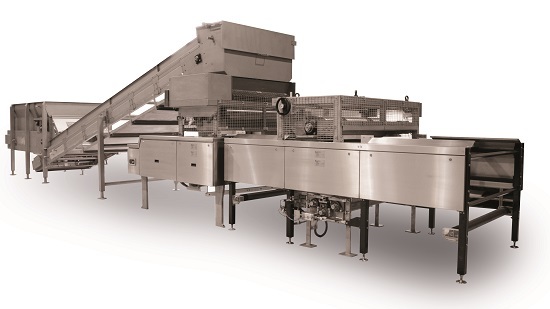 Baking rather than conventional drying is the key feature of these new Baker Perkins lines: baking imparts far better taste, appearance and texture than the drying process. Crunchy granola is made from oats, by mixing a simple blend of dry ingredients with oil and sugar to form a mass. This is formed into a loosely compacted sheet of constant thickness that is laid onto the oven band for baking. Texture can be lightened by including small pieces formed from other grains. The new Baker Perkins TruBake™ oven is ideally suited to granola baking, with convection air circulating to give an even bake. 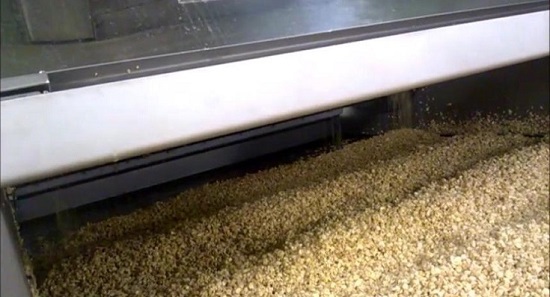 Assisted cooling at the oven discharge binds the mass together to give the characteristic baked granola crunch. 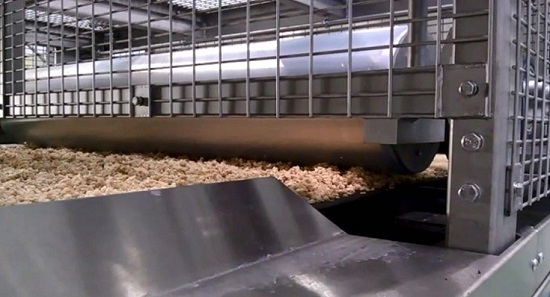 After baking it is kibbled to produce a smooth, bagged cereal of free-flowing consistency; final piece size can be adjusted to suit customer requirements. Bars are slit and guillotined before packaging. The process relies on gentle handling and accurate baking to achieve the ideal balance between product quality and efficient production. Baking rather than drying ensures complete cooking of the oats; larger pieces can be used to improve texture, and caramelisation of syrup adds depth to flavour.